Young men from many cultures must endure rituals to enter manhood. 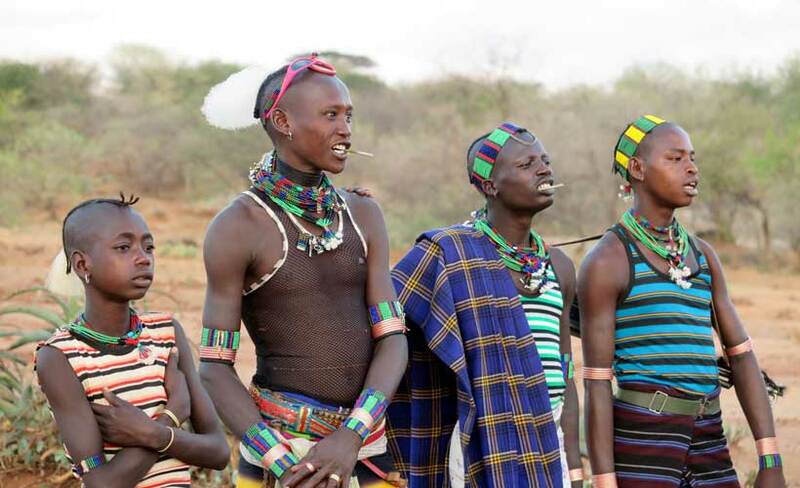 The young Hamar men of southern Ethiopia’s Omo Valley, prove their manhood by eventually succeeding at ‘cattle-jumping,’ a challenge that requires them to walk across the backs of livestock. 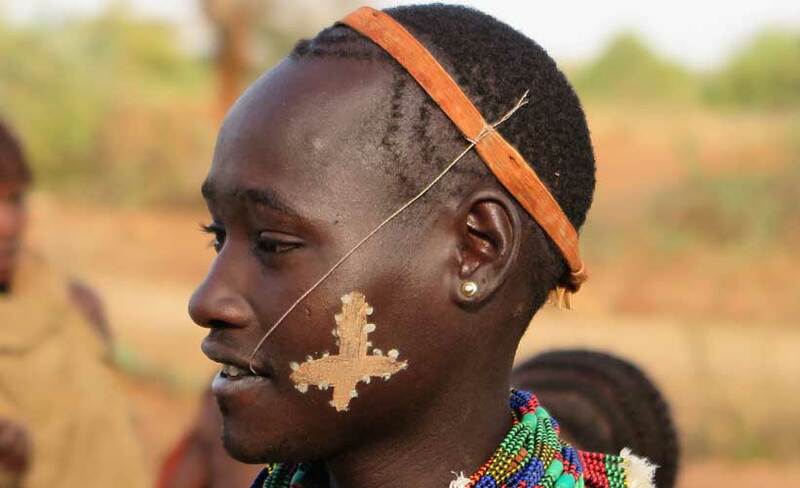 It carries great weight in the Omotic tradition as it is the only way an adolescent male can prove himself ready to marry, to own livestock and to become amaz – a man of his village. 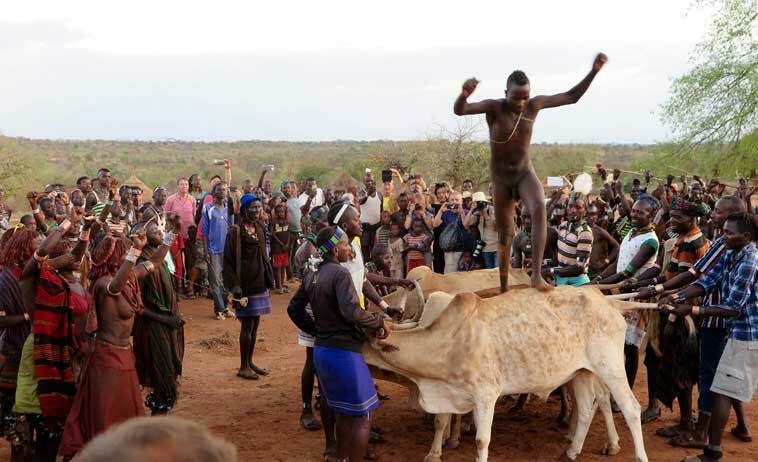 But it wasn’t the young man’s cattle jumping that really moved me during our trip to Ethiopia. 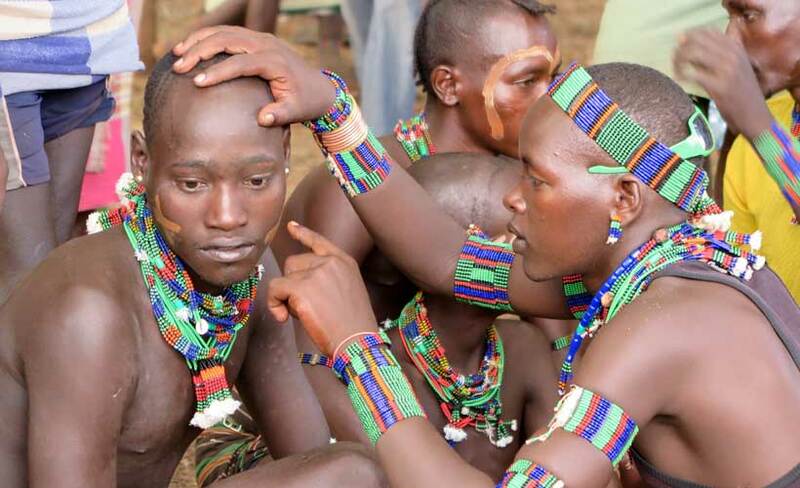 In a precursor to the main event, the young man’s female extended family members perform a kind of maasai-like dance, working themselves into a trance like state. Wild and euphoric blasts of their handmade horns, grasping each other’s back as they whirled synchronously in a circle of dust. Every now and then, one would break away from the group and present themselves to a maz. Jumping up and down with increasing fervour, taunting the initiated male of the village to crack her back with his very fine whipping stick. The crack of the whip alone alone made me shudder but the resulting cut and blood trickling down the women’s back was really quite shocking and uncomfortable to witness. 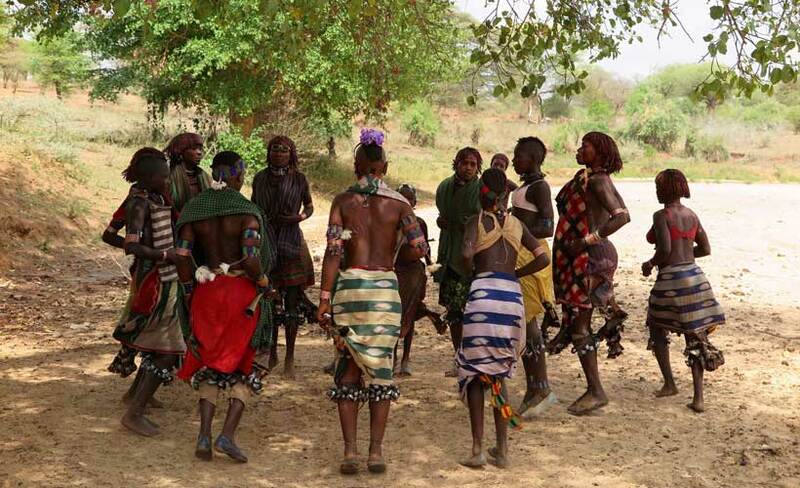 The women are relentless and for hour after hour they feverishly continue their hypnotic waves of dancing, horn blowing and whipping. The scars on their back proof of their allegiance to the males in their tribe. Warn with much pride, these types of scars are not seen as mutilations but as a thing of great beauty. 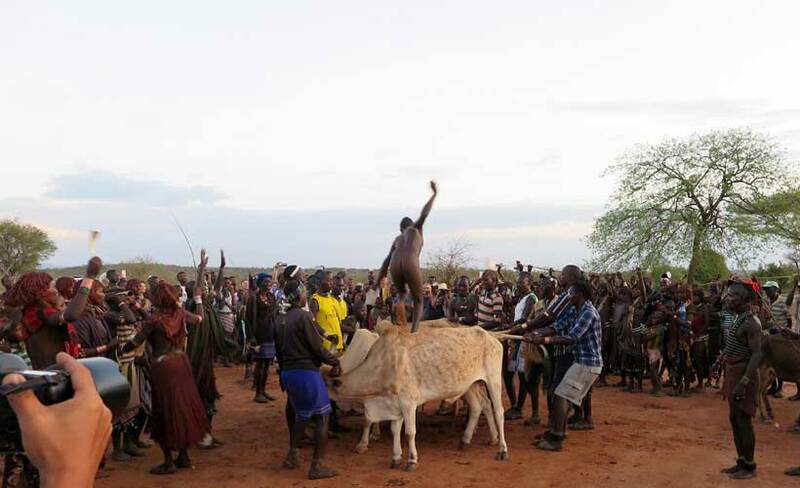 I left the ‘cattle-jumping’ in awe of the Hamar women. 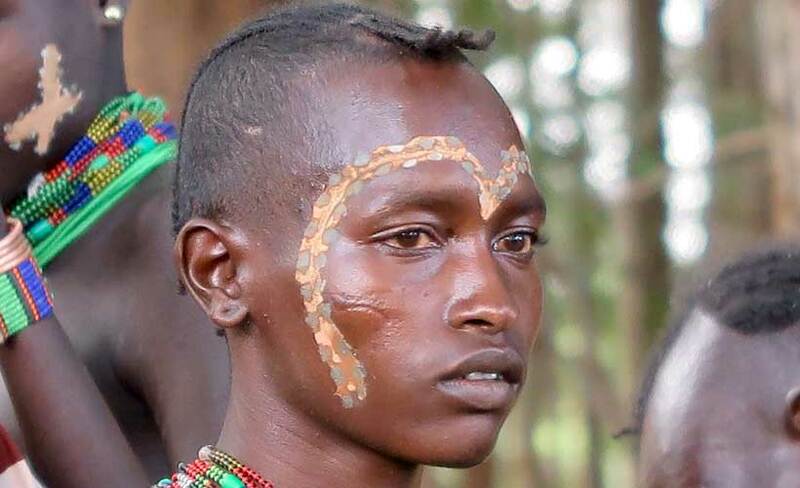 They are tough and proud and wear their scars as badges of honour in support of an age old tradition.If you get the opportunity during your Ethiopia trip to witness this ceremony do go, as it is a real privilege to witness. Book your trip to Ethiopia especially for the Timkat festival with Blue Dot Travel? Our 2019 January tour is full – next scheduled tour departs January 2020. Book now to avoid disappointment. 2019 tour itinerary available here. 2020 itinerary coming soon.